Leopard is something I find easy to throw into most outfits, whether it’s in the form of pumps, flats, sunglasses, scarves or tops. Today I actually came to work wearing different shoes (flats, of course) and my co-worker Lauren gave me these leopard pumps so I decided to change. I don’t ever trust Steve Madden heels (I’ve seen many break) so I don’t know that I could wear these out at night, but baby steps are starting at the office. Today’s look is a bunch of blue, with the bulk of it coming from Ann Taylor. I love that store for classic pieces, like this sleeveless striped blouse. 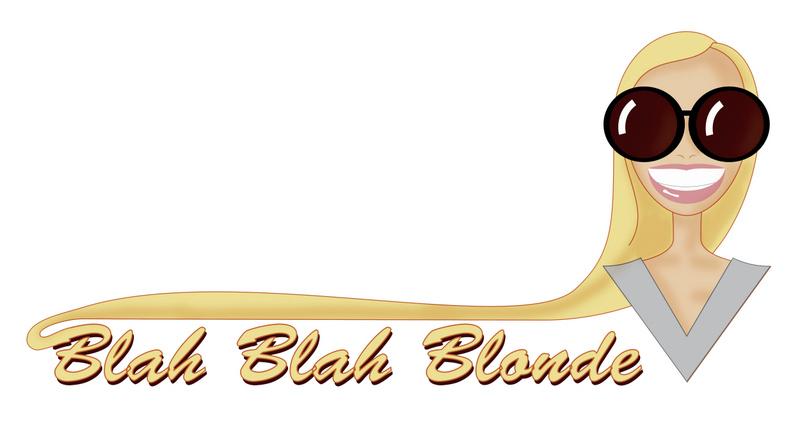 I am thinking of reinventing it next week in New York (at Fashion Week, weee!) with leather shorts or some other tough pieces. On moi: Shirt & cropped pants (in white) from Ann Taylor, Steve Madden heels (similar), vintage Etienne Aigner handbag (worn as a clutch), Michael Kors sunglasses (in tortoise), Bulova watch. HAPPY HOLIDAY WEEKEND TO ALL!!!!!!!!! This is perfect ! Love the cobalt blue pants ! Love the wedding rings……..I remember that Eigner bag! I love the idea of that top with leather short! Have fun! You look fantastic! 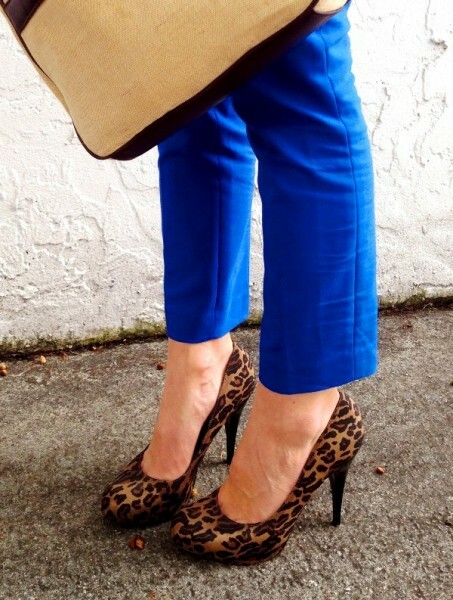 I love the cobalt blue with the leopard pumps. Perfect. Have a great weekend!! I’m really loving the combination of bright blue and leopard and this just reaffirmed my love for it. Great outfit. the pumps are f-ing fabuloussss- i LOVE them with the blues!